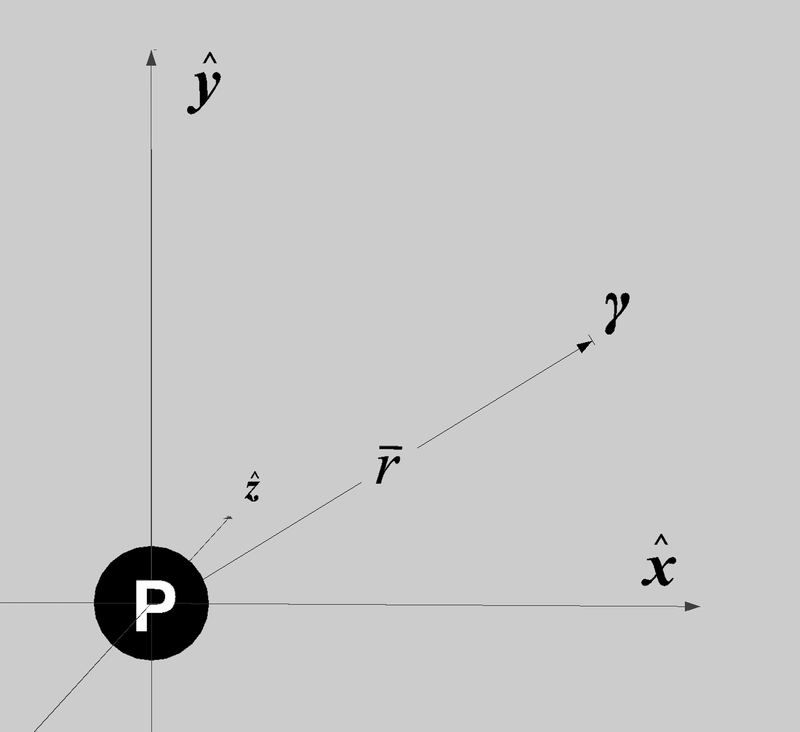 A three-dimensional space with particle P at the center of a Cartesian coordinate system. P includes a proton-core located at the origin and a photon somewhere in the vicinity. where $\nabla \times$ notes a mathematical vector operator called the curl . The units used to measure flux density are called tesla and abbreviated by (T). The magnetic potentials and flux densities around multiple magnetic moments are obtained from vector sums over the contributions of individual particles.